I am an Australian with a European heart. I want to know the best place to get good German food in Sydney. This can be eating out or deli-style food like great bread, proper sauerkraut or potato salad. Basically if a place sells authentic German delicacies I would love to hear about it! For unbeatable ambience I'd have to say the Lowenbrau Keller at The Rocks! Those beers for my guy mates...slauncher! I really enjoy the Bavarien Bier Cafe (both city and Crows Nest locations are favourites of mine). Loads of German beers and wursts, as well as a number of other dishes. You also get giant pretzels to munch on while you're choosing what to order (and for anyone in the need of gluten free meals they can help you). Their coleslaw is the best I've ever had as well. Went to a restaurant called Una's in Darlinghurst for a friends' birthday and they served European cuisine including German. I specifically liked a potato dish called Rösti that's originally from Germany. Maggies in kings cross also has amazing European food. I agree with Justine, Lowenbrau at the Rocks rocks! 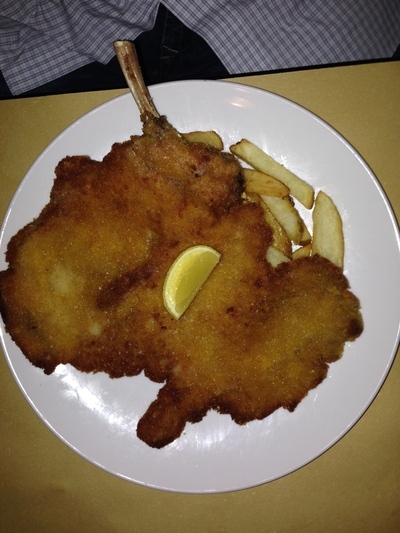 Wolfgang"s in Bowral,though a bit far is as good. Best Italian food in Sydney? Best dog groomer in Sydney? Best photography course in Sydney?